THE SONG OF THE HELIOTROPE FAIRY! Just like something nice to eat. For my scent - O come and smell it! How can words describe or tell it? To the palest lilac shades. 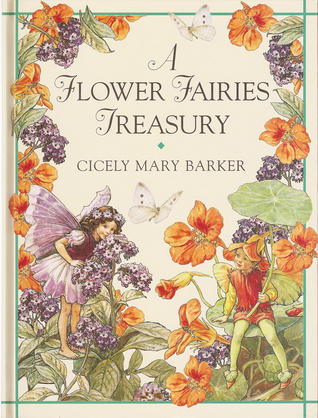 From the book called 'A FAIRY FAIRIES TREASURY' by Cicely Mary Barker. I thought for the F of my A-Z blog that I would show you my favorite poem that I used to read as a child. I can't remember the reasons for it being so, but reading it back has really brought back some beautiful memories. Like when my mum taught me how to ride my bike for the first time, or when we went on holiday aboard for the first time and how happy we were. I'm not going to write down all the memories because there are a lot. But I hope by you reading this poem that it brought you back your happy memories from childhood too. So this blog is just basically to spread a little bit of happiness to people that might be having a bad day/week ect. Or to people that want to start there day off on a positive. Doesn't matter the reason it's just to make people happy and so they can think about happy things that are in their lives! What's your favorite poem and why? If you don't have one, what do you think of this poem? Nice poem. Thanks for sharing. Love how writing can bring back such strong memories. I know right, and how something so simple can do something like that! I remember Owl and the Pussycat. Love it to bits.